Double your sales with a revolutionary new app. It's more than just a business phone number. Too busy to call people back? Your business may be suffering because of it. If you don’t respond to sales leads in 5 minutes or less, you risk losing them forever. Ninja Number is designed to double your revenue by helping you return those phone calls quickly – and make that sale. Get back to that sales lead. Help increase sales by improving your response in first 5 minutes. Ninja Number can auto-respond for you and will remind you to return phone calls. Share your business phone number with up to 4 other partners or employees, so you don't have to purchase extra phone lines for each employee. 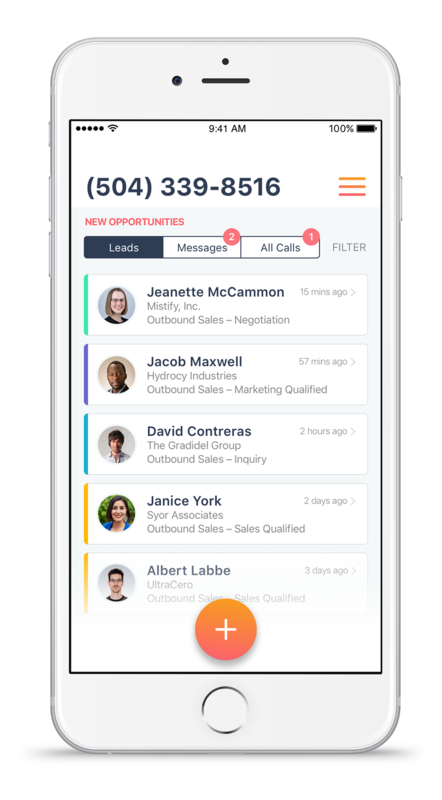 Automate customer interaction, get insights on your call habits, and receive detailed reports on call trends. Want more? We've got more. Forward your calls to any number or several numbers, no matter where you are. Never miss a call. We transcribe all voicemails and text them to you so you don't have to check your voicemail. Turn your Ninja Number into a PBX so customers are routed to the right person.